Stradivarius is a stunning apricot and blue phantom standard poodle. She has red, silver, blue, and apricot in her bloodline. She throws beautifully marked Bernedoodle puppies. She is named after the famous violin maker, Stradivari. Stradivarius violins are regarded as the finest ever made. And it is because of this she receives her name. 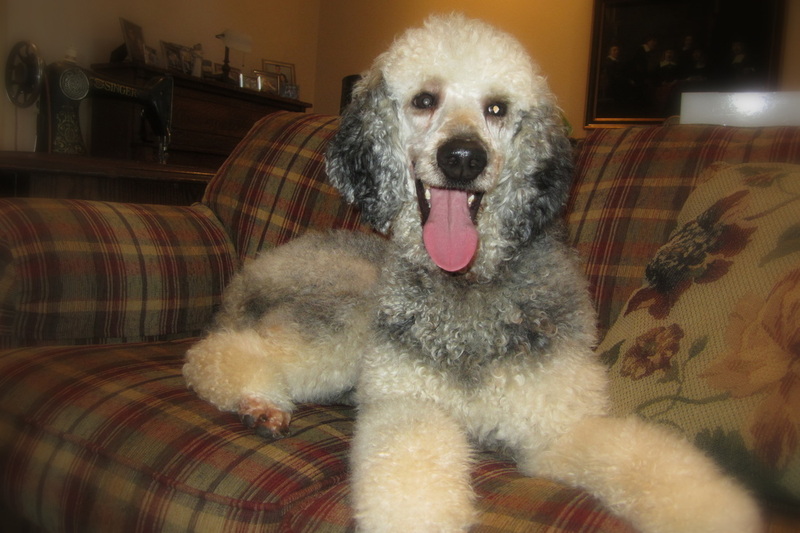 She is a dazzling marked standard poodle, hard to beat. She enjoys pleasing and is ready to join in anything having to do with water, like stealing filled water balloons. She and Guarnerius are sisters from the same litter. Stradivarius lives with a guardian family.